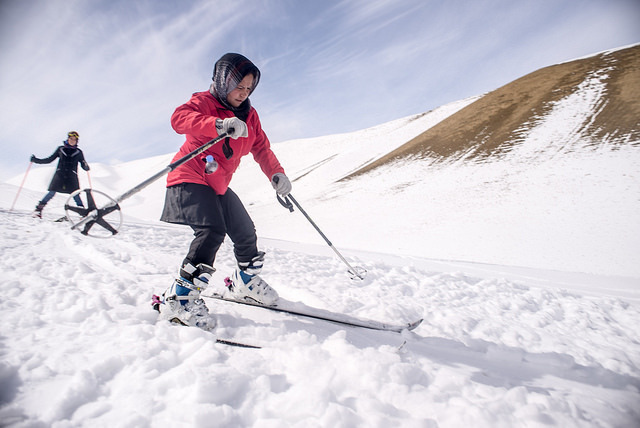 Proving that when there are vast mountains, deep snow and pristine, untouched terrain — “if you build it, they will come” — the Afghan Ski Challenge continues to grow. This year’s event drew 45 local and international competitors, including eight women. More than 1,000 fans cheered them on. Bpeace Fast Runner Gull Hussian Baizada is a founding member of the Bamyan Ski Club and has been a driving force in the growth and organization of the ski challenge. 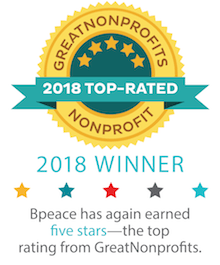 Since becoming a Bpeace Fast Runner, our staff and volunteers have provided Gull with pro-advice for his growing tour business, including how to price and package tours to Bamyan and other areas of Afghanistan; creating customer marketing and satisfaction surveys; and deploying social media. I had the honor of speaking with Gull about the 4th annual Afghan Ski Challenge held this year on February 28. Gull explained that the race was open to both skiers and snowboarders. 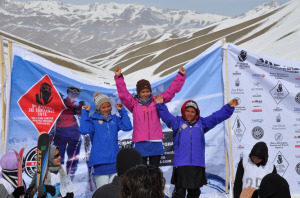 The Bamyan Ski Club and the Afghan Ski Challenge were co-founded by the Aga Kahn Foundation and Christoph Zürcher, a Swiss journalist and skier. In 2011, Christoph arrived in Bamyan with 15 pairs of skis and started teaching local boys how to ski. Ten farm boys, with only two weeks of practice, competed in the first Afghan Ski Challenge. The 45 skiers in the 2014 competition included 17 international competitors and eight women participants in the women’s event. Gull explained that there is a limited amount of ski equipment, and as more and more Afghans start to ski, there is simply not enough equipment for all the want-to-be skiers/competitors. In response, many locals have shown their ingenuity by crafting their own skis and poles out of wood, using old planks or fence posts, and sandal straps, plastic and strips cut from old tires as bindings. Skiing remains a foreign concept for most Afghans, but the Afghan Ski Challenge is introducing more people to the sport and attracting locals and international visitors to the competition. This year there were around 1,000 spectators, including people from New Zealand, Germany, USA, UK, Switzerland and France. The Afghan Ski Challenge is good for business. Gull, who operates his own travel agency, Rah-e-Abrisham (Silkroad) Tour and Travel and the Gholghola Ski Lodge, estimates that the event brought in over US$50,000 to the community. The event has also generated considerable renown around Afghanistan, and this year’s winners enjoyed a free trip to Kabul and were featured on a popular local television show! Several of the winners may also have the opportunity to train in Switzerland for the 2018 Winter Olympic games! While it may take some time before anyone calls this mountain town a tourist destination, promoters like Gull are determined to attract more tourists to the area. Last year Gull brought more than 80 international visitors to the area and now has agreements with several international operators who can arrange package tours. Bamyan, perhaps best known for the Taliban’s destruction of its ancient Buddhas, offers a number of year-round attractions, including the awe-inspiring niches where the sculptures once stood and a nearby complex of caves, dating back two millennia and containing some of the oldest oil paintings in the world. Bamyan Province is also home to Afghanistan’s only national park, the Band-e Amir lakes. Moreover, the area has something few places in Afghanistan can boast about — relative safety. Though the roads from Kabul to Bamyan Province are often subject to Taliban ambushes, the Bamyan Valley is considered the most secure place in the country. And since East Horizon Airlines began flying from Kabul to Bamyan, tourists can actually make it there. The Bamyan Ski Club will host the 5th annual Afghan Ski Challenge in March 2015 and will continue promoting skiing and tourism in the region. So if you long for adventure travel and are drawn to Afghanistan’s rugged beauty and the isolation that has left traditional cultures intact, start planning now for next year’s ski challenge! Through Rah-e-Abrisham (Silkroad) Tours, Gull will be offering a seven-day Bamyan tour including the competition. Bring your skis, skins or snowshoes and sunscreen — the mountains await! More about the Afghan Ski Challenge and view video and articles, check out the Afghan Ski Challenge website. To learn more about visiting Afghanistan and/or competing in next year’s challenge, contact Gull and Rah-e-Abrisham Tours at raheabrishamtour@gmail.com, or on Facebook or LinkedIn. There are lots of articles about the ski challenge and visiting Bamyan. Here are links to a few of the most recent articles, as well as a guide to backcountry skiing in Bamyan Province.